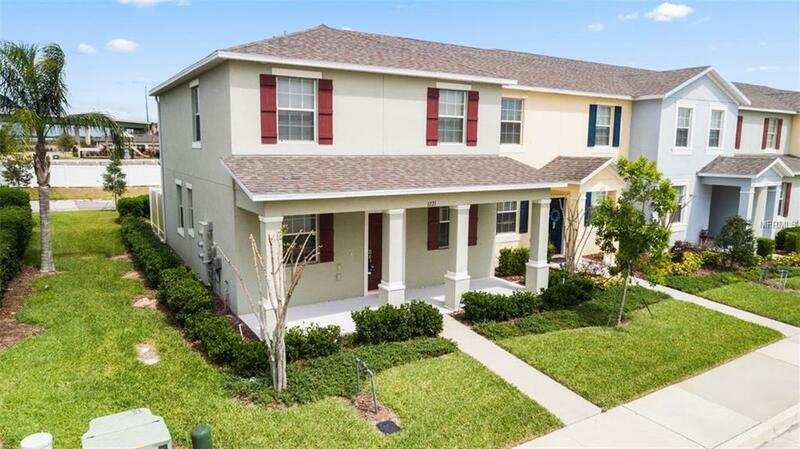 Located in the beautiful community of Emerson Park right across from the brand new Florida Hospital Apopka facility. This is an end unit with fantastic space and wonderful community amenities. This townhouse offers a tile first floor, open kitchen/family room combo with granite counters, wood cabinets and stainless steel appliances. Master upstairs with a huge walk-in closet along with 2 more bedrooms and another bathroom to serve them. Additionally, downstairs you have a formal living and dining room off of the front entrance. A 2 car detached garage with covered walk and entrance through the laundry room. Also, a private pavered patio with vinyl fencing in the rear of the unit. This unit also features a new roof, fresh paint and new carpet. The community amenities include a junior olympic pool, playground, fitness center and recreational facility.